Welcome to Earthexit Ltd, a leading contractor and ground works specialist in Wolverhampton, Walsall, Cannock, West Bromwich & Dudley providing an affordable paving, driveways and resurfacing services in Asphalt, Tarmac & Blocks. With over 30 years in construction industry, Earthexit Ltd tend to serve its clients with excellent, comprehensive range of services in tarmac, asphalt and block paving for laying driveways, car parks, paths and roads, Coloured Tarmacking, Excavation, House Foundations, Dropped Kerbs, Forecourts, Resin Sealing, Hot Surface Dressing, Footing, Land Drainage, Curblaying, Road Marking, Slab Replacement, Trench & Sheet Piling, etc. 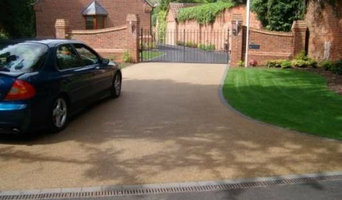 We are Birmingham Driveways , specialists in quality driveways in the Midlands area. We are so confident that we provide a 5 YEAR GUARANTEE FOR ALL WORK, and in addition to this WE DO NOT TAKE ADVANCE PAYMENT - You pay when the job is complete. What is our history? We carry on the business of a long standing second generation 'driveway' family who have been brought up and raised in Birmingham and the Black Country. The work and experience began growing approximately 50 years ago, and the business has grown from strength to strength over the years. The experience and skill gained by our craftsment speaks for itself with our impressive list of happily satisfied customers. Prior to incorporating the company we have laid hundreds of residential driveways, from Tarmacadam to Block Paving and Gravel, and also carried out work for several corporate clients such as EON Energy, carehomes, drinking establishments and various supermarkets. 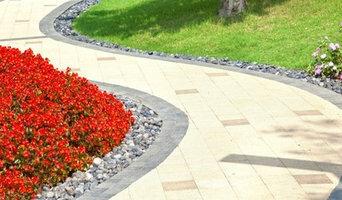 We also supply various materials to other paving companies and domestic customers. We are happy to provide you with materials only if that is what you require. Alternatively, you can source your own materials and we can provide the labour to get the job done RIGHT. Why not call us now for a FREE no obligation chat and find out about how Birmingham Driveways can help transform your driveway? Colordrives expertise and experience in the driveway and landscaping business makes us the perfect solution for turning your driveway or patio into something beautiful as well as practical, we pride ourselves on our reputation for quality, design and innovation. D Property Services (Solihull) Ltd is a trusted local paving company operating throughout Nuneaton and surrounding areas. We specialise in all types of driveways in Nuneaton, and provide superb surfacing solutions for both commercial and domestic clients. 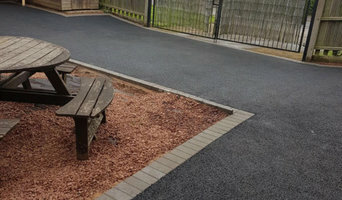 Our considerable range of services includes driveways, pathways, car parks, road repairs and pavement lowering, so you can be certain that our professional team has the experience and expertise to meet your specific requirements. S&J Paving Services Ltd are surfacing contractors operating throughout Birmingham and other surrounding areas. We specialise in all styles of driveways in Birmingham, and deliver exceptional surfacing solutions for both commercial and domestic clients. Our comprehensive range of solutions includes driveways, pathways, car parks, road repairs and pavement lowering, so you can guarantee that our specialist team are able to meet your exact requirements. Our services cover all paving and landscaping requirements around your home, including driveways in Birmingham, patios, garden design all paving repairs and cleaning as well as garden walling. We endeavour to supply you our customers with best possible advice and value for money when estimating for your garden project. We can only work professionally once all of your ideas and input has been taken on board and your project is fully understood. At RL Treecare & Landscapes we also provide a full landscape construction service, following through from our designs or working from your own. Our efficient construction specialists are qualified to take care of all aspects of the garden build, from planning to planting, incorporating garden fencing and block paving where needed. We work to develop gardens individually fabricated to fulfill your high hopes. We often find that customers come to us feeling dissatisfied with their garden, or unsure how to maximise its potential. We will work closely with you, first to recognise your needs and, then, to produce a design solution which offers you an enticing and easy-care garden. 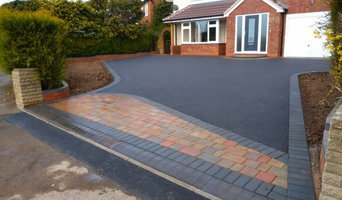 Why should I hire Birmingham, West Midlands driveway pavers? For those building a new home from scratch or completely renovating a house, sorting out the driveway and paving around the exterior of the house is usually something that comes as an afterthought, or at least left until the main living areas areas of your home are sorted. However, it’s always a good idea to talk to professional Birmingham, West Midlands driveway pavers at an earlier stage because they can work in tandem with any other exterior contractors working on the job to create driveway solutions that work with the rest of your house. The driveway construction may not be able to happen until after other contractors have finished, but the space will be ready for the paving or laying of the driveway. Here are some related professionals and vendors to complement the work of driveways: Stone, Paving & Concrete, Main Contractors, Landscape Contractors, Cladding & Exterior Contractors. Find a driveway pavers on Houzz. 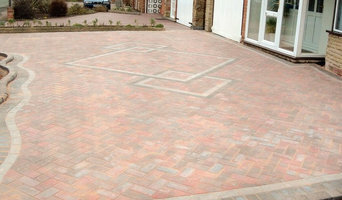 Narrow your search in the Professionals section of the website to Birmingham, West Midlands driveways and paving. You may also look through Birmingham, West Midlands photos to find examples of driveway solutions and paving that you like, then contact the driveway pavers or contractors who worked on them.